The period beginning December 1963 was one that saw significant movements of population. A large number of mainly Turkish Cypriot villages (and villagers) coalesced into a reduced number of fortified enclaves run by the community’s political leaders and the number of abandoned villages grew. Seventy four mixed villages were evacuated and twenty four wholly Turkish villages were abandoned. 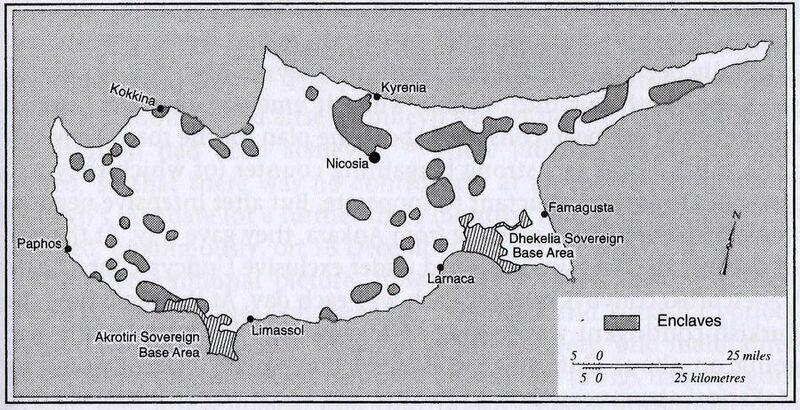 The resulting Turkish enclaves occupied less than 3% of Cyprus’s total land area but held almost 18% of the island's population. It is a tragic irony that many of the evacuated villages were resettled by their original Turkish Cypriot residents when, in 1974, the Greek Cypriot inhabitants fled due to the Turkish invasion.